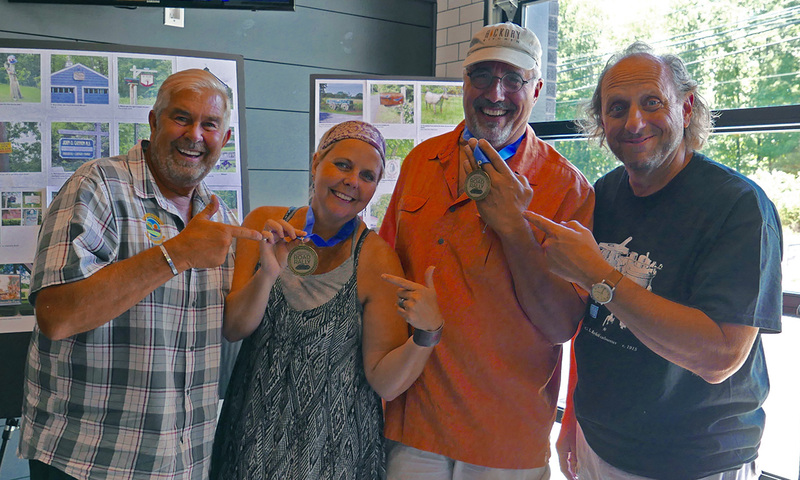 First place winners, Chanin and Bill Milnazik with Dudley Rice of Solebury Parks & Recreation (L) , and Steve Williams, rally master (R) . 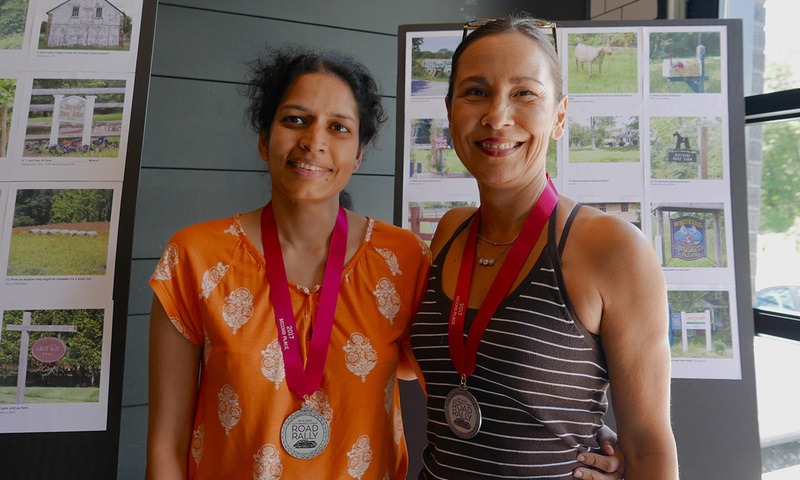 Second place winners, Sujatha Nadimpalli, and Jo Leonard. Third place winners, Stephanie Lowe and Tammy Lowe. 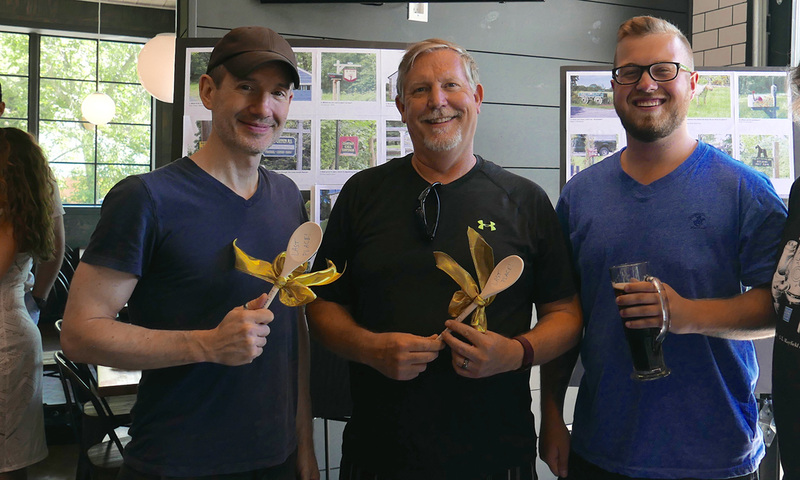 Finishing in last place, winners of the traditional wooden spoons are Jim Freeman, Steven Docarmo, and Tyler Cancel. 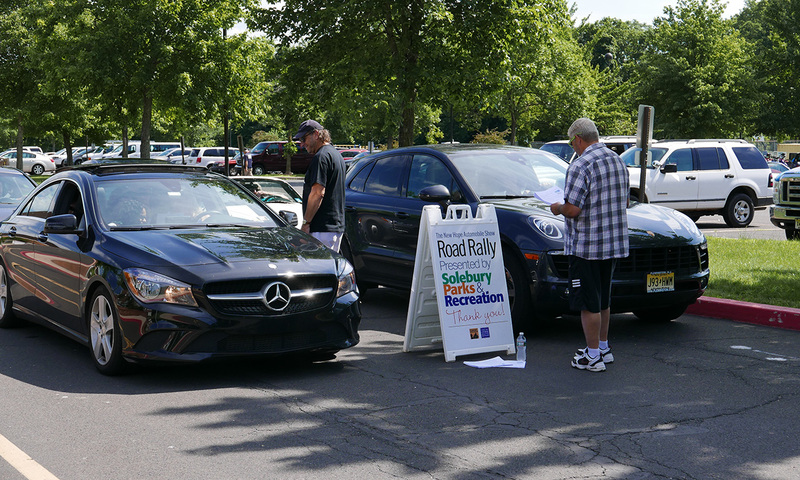 Thanks again to Solebury Parks & Recreation for their generous support of our popular annual road rally. Thanks to everyone who helped us raise money for cancer research while getting lost in Bucks County. Thirty-four cars participated in our 9th annual New Hope Automobile Show Every Car Road Rally. We had an absolutely beautiful day and saw some roadways we never saw before. At left are the three winning (and one losing) drivers and their navigators. We also owe a big thank-you to the nice folks at the Cactus Grill in Pipersville where we enjoyed some delicious food as well as a nice selection of beers. 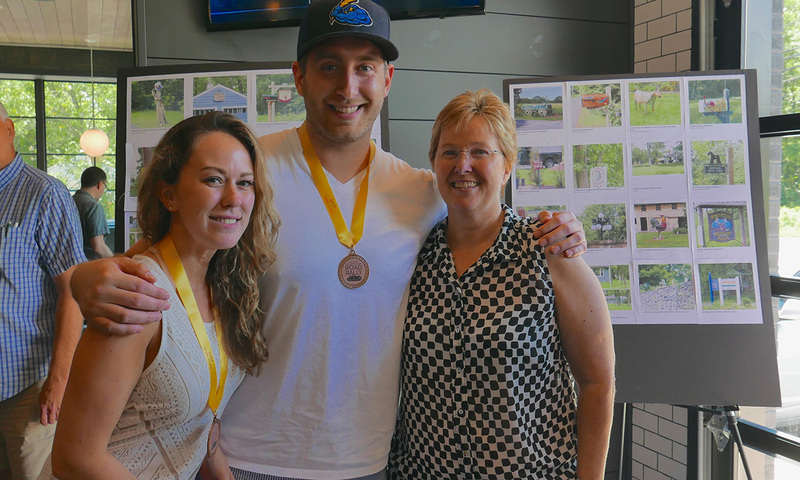 Answers were on display and medals were awarded for first, second, third, and last place finishers. If you missed this rally and have an antique or classic car, you have another chance to drive a rally. On Saturday, August 11th, we’re running our Vintage Road Rally, just for antique and classic cars. So if you want to run in this rally, register here today. We are cutting off registration at 50 vehicles. Again thanks to everyone who participated. Sign up for the Road Rally.